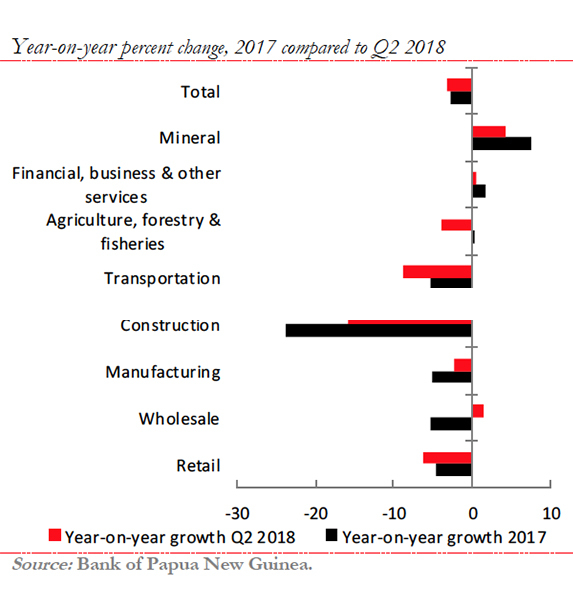 The Chief Executive of the Manufacturers Council of Papua New Guinea, Chey Scovell, has given an upbeat assessment of the prospects for the manufacturing sector. He tells Business Advantage PNG that the mood, while cautious, is becoming more optimistic. ‘In 2018, people were hesitant. 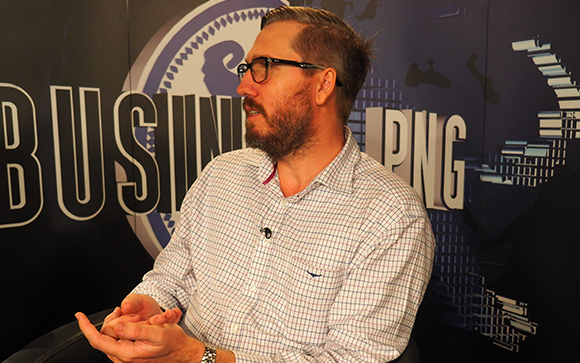 It was a case of 50/50: things could go either way,’ Scovell tells Business Advantage PNG. Scovell says one big catalyst for change has been reform on tariffs, offering better protection to PNG manufacturers. He says these reforms were announced in 2016 but were not ‘enabled in legislation’. In the last two Budgets, however, the changes were made law and businesses have responded. ‘Those tariff reforms have resulted in significant investment, including re-capitalisation of existing manufacturers, like Coca-Cola, Pacific Industries and Paradise Foods. ‘There has also been a whole number of new entrants. American Cola, the soft drink brand took up a chunk of the market. ‘They are actually building two manufacturing plants: one in Port Moresby and one in Lae. Scovell says food company Goodman Fielder is also increasing its investments, including building a new flour mill. 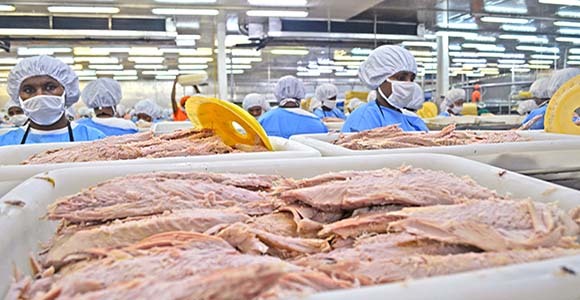 Scovell says changes to subsidies in the tuna industry have also had a galvanising effect. ‘What happened in the past is that most of the fisheries located in PNG were a type of dual-structure business. Scovell says some companies used the subsidy to provide cheap fish to their overseas operations, only processing a small proportion of the catch—as low as three-to-five per cent. An exception was RD Tuna, which used to process about 75-80 per cent of their catch in PNG in the peak season. ‘The Government changed the subsidy,’ says Scovell. ‘Now, it is a rebate based on the volume that you process (manufacture). ‘Within six months, we saw a doubling of the output on the processing side and now we are we are seeing between two and three times [the pre-changed subsidy level]. ‘They have gone from running one short shift a day to running two or three full shifts. Some of them have gone to almost 24-hour production. Scovell says better prospects in the oil and gas and mining sectors will have an effect on manufacturing. Scovell notes that with the establishment of a ministerial oversight committee on resources they are having a meeting every week. He says the hope is that work will start on some of the resources projects ‘towards the end of the year’. ‘That is going to be huge; it is some of the early spend. Scovell says anther boost to prospects in the manufacturing sector is the establishment of the Papua New Guinea Electrification Partnership (PEP). He says that will change power provision in the country, which is a crucial input into manufacturing. ‘One of issues is you can build all the infrastructure, but how can you do it on a commercial basis? Scovell believes that boosting PNG’s manufacturing industry is essential to achieve greater diversification in the economy. Diversification is one of the government’s major priorities because it is considered a way to protect against the impact of volatility in the resources sector. ‘We believe manufacturing is critical to diversifying the economy. The more value added you can do the better. This is a great idea to leap PNGs economy forward. Strengthening of tariffication policies in the country is the only way to increase local producers to get into competition, become innovative to extend our local industries to boost the industry sector in the nation. This is really another angle to expend our economy to absorb the growing number of graduates in the country and to reduce poverty. I really appreciate reading this article.